Egyptian football club El Qanah have announced that one of their players, Ibrahim Konsha, has died at the hands of Islamist militants. 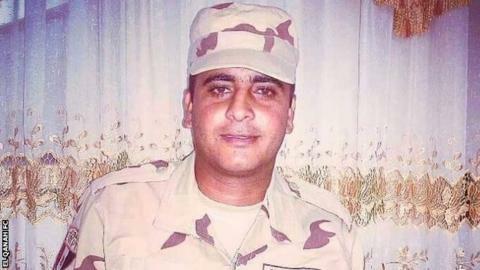 28-year-old Konsha, who was fulfilling his national service, was one of nine soldiers killed in the Sinai peninsula on Sunday. "Our player Ibrahim Konsha died in terrorist attacks against a battalion of the Egyptian Army," the second division club said in a statement on their website. The so-called Islamic State has claimed responsibility for the series of attacks targeting checkpoints in Sheikh Zweid. Leading Egyptian clubs such as five-time African champions Zamalek and Ismaily all offered condolences for the club's loss. "We express our condolences about the death of Ibrahim Konsha, who died in the recent terrorist attacks," tweeted Ismaily. El Qanah, who Konsha joined in 2009, are based in Ismailia.